The tcworld conferences are significant events for a technical communicator. The three days of the conference will see many industry experts and business persons providing their wisdom to the attendees. The topics for the conference cover various subjects within the technical industry such as Content Strategies, Design, Information Products, Development and Production, Translation and Localization, Visual Design, Quality Assurance etc. All the speakers are selected by various independent tekom committees and are from different parts of the globe with vast knowledge and experiences and also they are evaluated to ensure best topicality, relevance and quality presentation. Conferences are one of the most important places to grow your business. This is because of two things—the knowledge gained from industry professionals, and from networking. Business relies greatly on connections, contacts and loyal relationships between partners. The different people—and companies—that attend conferences, seminars and workshops could lead to greater business opportunities. Events like these bring the wisdom of a seasoned veteran to every person. When you attend such conferences, it leaves lasting impacts on your knowledge and ultimately your business. As a working professional who wishes to grow in their career, such wisdom is extremely valuable. Conferences are also the hotpot of new ideas and the formation of lasting partnerships. Finding a mentor or a friend amongst the crowd is made easier at such events. Networking is arguably the greatest asset to a businessperson, entrepreneur, and working professional. To pitch one’s idea, portfolio, and business to professionals in the same field might be daunting. Especially if you’re new to the field, or if you’re attempting to break into a new market. In such cases, enlisting the help of media professionals and experts is imperative. We at Braahmam, strive for excellence in communication and coherence. We work to allow your services and products to be understood by a large audience. A business idea or products pitch needs to be effective and strong in making its point. Whether it is transforming your content or translating it, we provide elegant and efficient solutions tailor-made to your business. We make sure to design your content so that it generates interest from potential customers. By expanding the scope of your business and services, we help you grow your company. Braahmam handles diverse fields of work in various industries, ranging from pharmaceuticals to software solutions. We help our clients by developing interactive and informational content for their business. We translate content into local languages all around the world to help our clients break into new markets. And we achieve this through stringent practices that are designed to deliver to your expectations. We make sure that your ideas transform into reality with the best possible results. Braahmam has visited several tekom conferences in the past. These conferences have given us great opportunities to provide our services to different kinds of customers. We have met many of our best and loyal clients at similar conferences. This is why we make sure never to miss out on such opportunities. Not only this, we were the proud sponsor of the entertainment event of last tcworld India conference held in July 2018 as well. 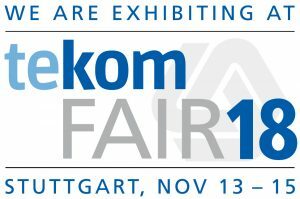 This year also Braahmam is attending the tekom conference in Stuttgart, Germany by putting up Booth in the exhibition. Please visit our Booth No- 1/B03 to discuss how we can collaboratively work to reach your global customers. You can meet our CEO, Mr. Biraj Rath at our booth. After all, even a simple conversation could lead to the formation of a great partnership.